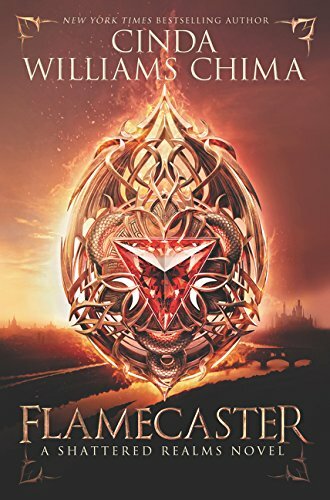 Flamecaster is a book following Ash and his amazing adventure through the Seven Realms. Ash is a young princeling in the queendom of the Fells (Fellsmarch) with an extraordinary talent for magical healing. When his talented, beautiful sister gets slain in a skirmish along the border with Tamron, Ash and his family are heartbroken. The heir to the throne is dead and now there is a threat looming from the kingdom of Arden. Then suddenly, there is another terrible tragedy. When the terrible tragedy occurs, Ash is filled with rage, and he leaves the Fells to claim revenge. Will Ash be able to avenge the fallen? Will Ash be able to defeat Arden alone? Find out in this amazing thriller! Cinda Williams Chima never disappoints, and this book is no exception. This fantasy/action book was written with amazing characters, fantastically described places, dragons, magic, and amulets! Ash is the main character with a fiery attitude, a kind heart, and a deep sense of family. Although this book is an impressive start to a new series, “Shattered Realms,” it isn't a really good stand-alone story. To understand the full storyline, you should read the first series, “The Seven Realms”, before you read this second series. This book has some killing and violent descriptions, so I would recommend this book for ages 13 and up. There was some killing and violence.